It is said in the Jane’s Defence Weekly that the UK Ministry of Defence (MoD) has ordered a new ground based Surface-to-Air Missile (SAM) system from MBDA. 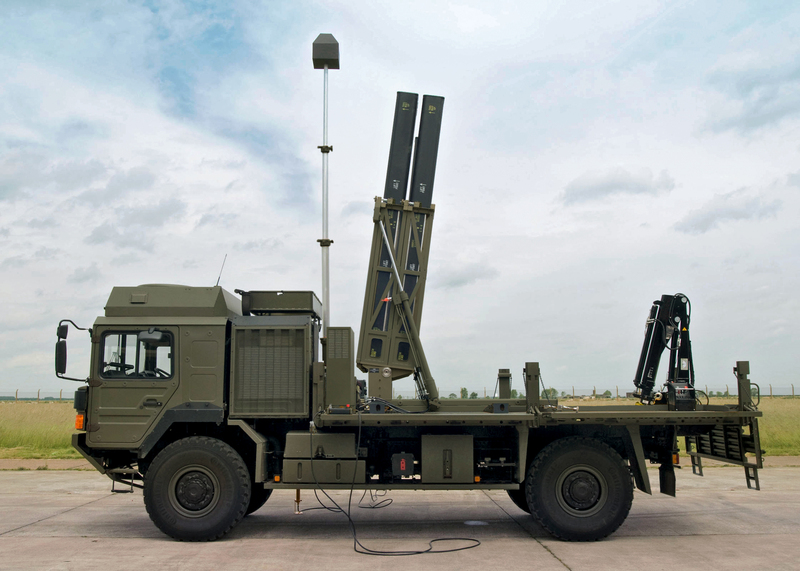 Known as the Future Local Area Air Defence System (FLAADS) Land, the new SAM system will eventually replace the British Army’s Rapier Field Standard C (FSC) short-range SAM systems. Speaking to IHS Jane’s on 15 January, a MoD spokesperson confirmed that a development and manufacture phase contract had been awarded to MBDA for the programme. An MBDA spokesperson confirmed to IHS Jane’s that it had received the contract in December 2014. The contract is valued at GBP228 million ($348 million). According to the MoD FLAAD Land should be ready for entry into service at «the end of the decade». This should allow for a smooth change over with the retirement of the Rapier, scheduled to begin in 2020. The quantity of FLAADS Land systems included in the contract is unclear, although the Royal Artillery (RA) currently operates five batteries of Rapier FSC missiles and these are likely to be replaced broadly on a like-for-like basis. The RA also deploys the very-short range Thales Starstreak High Velocity Missile (HVM). 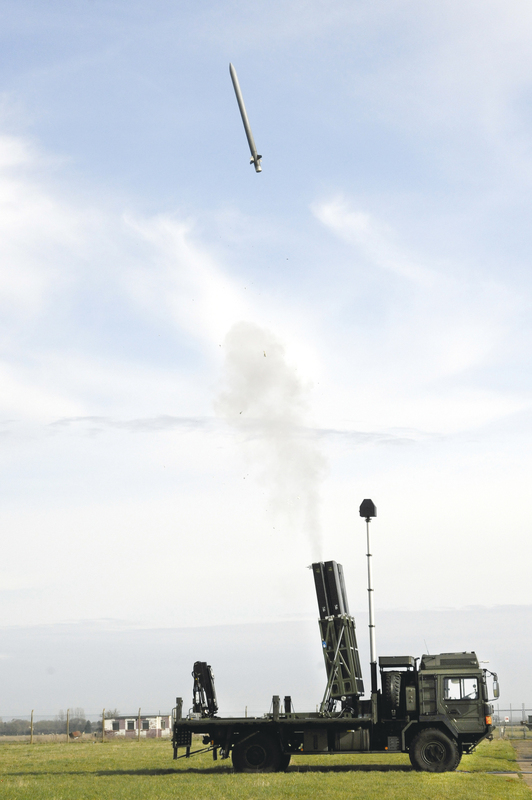 FLAADS Land uses the MBDA Common Anti-air Modular Missile (CAMM) as its interceptor. CAMM is also under order for the Royal Navy’s Sea Ceptor primary-air defence system that will equip the services Type 23 frigates and future Type 26 Global Combat Ship. CAMM is originally derived from the MBDA Advanced Short Range Air-to-Air Missile (ASRAAM), while both Sea Ceptor and FLAADS Land also sharing a common command and control (C2) system. 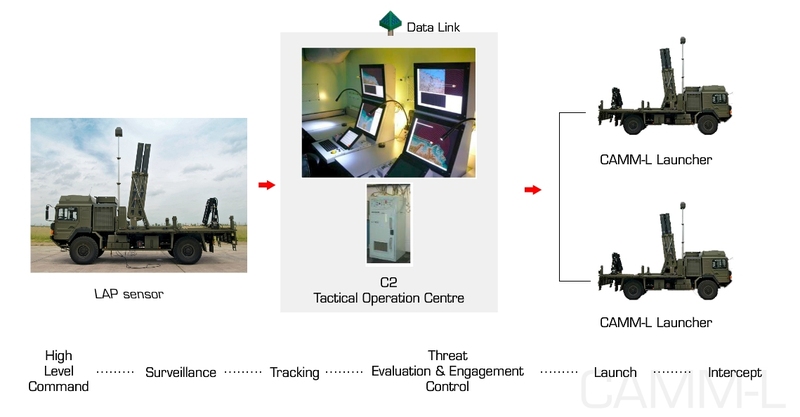 As part of a land based weapon system, CAMM will provide future land forces with an easily transportable and rapidly deployable local area air defence capability, which can operate as a stand-alone unit or be integrated within a future battlespace network. If 3rd party targeting information is available via the battlespace network then CAMM is capable of engaging Non Line of Sight (NLOS) targets. This NLOS feature is particularly attractive for engaging concealed Attack Helicopters and low-flying terrain-following cruise missiles. The small footprint of a CAMM launch site and the low-signature of a CAMM missile launch increases survivability of air defence assets. CAMM is logistically easy to manage with CAMM canisters slotting straight into launcher frames, with no need for manhandling of actual missiles. The CAMM missile in its canister is exactly the same whether used on a ship or by a land unit, opening the opportunity for common missile stockpiles across Navies and Armies in the future. 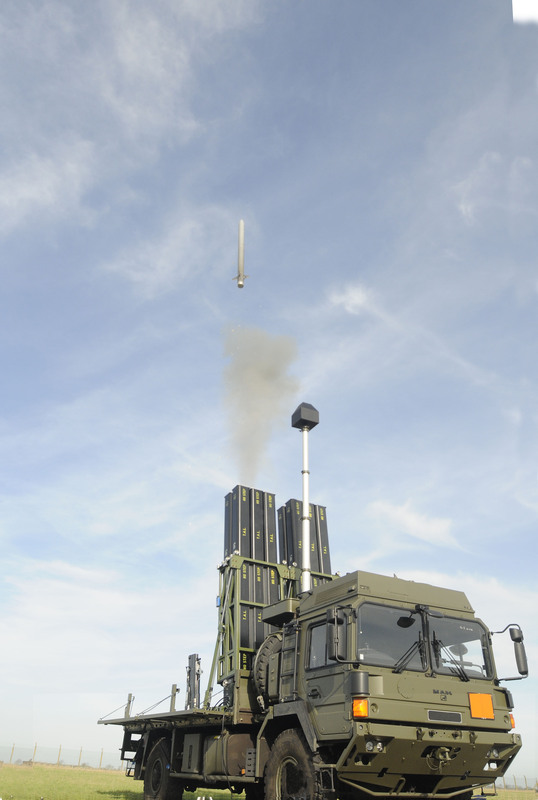 The FLAADS Land system will provide the British Army with a world leading Ground Based Air Defence (GBAD) system that will be one of the most advanced and capable in its class, providing operational, logistical and cost benefits. As part of the Sea Ceptor weapon system, CAMM provides a 360° air defence capability for naval forces out to ranges greater than 25km against the current and future air threat. Requiring no dedicated tracker/illuminator radars, CAMM can be cured by the ship’s own standard surveillance radar to provide high levels of protection against multiple simultaneous targets in Open Ocean and littoral environments. It can also be used against surface targets. 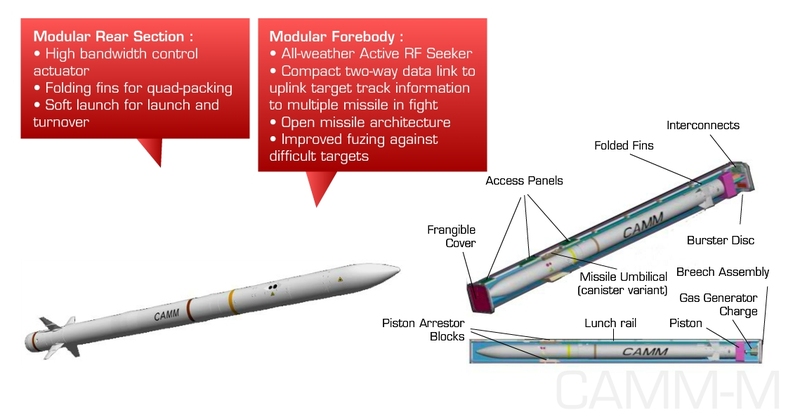 CAMM launch canisters are compatible with SYLVER and Mark-41 family launch silos with CAMM utilizing features such as folding missile fins to maximize launch canister packing density. The introduction of «soft launch» techniques reduces system mass and allows for more flexibility in terms of installation positions on a ship. Based on an advanced active RF seeker, CAMM’s modular design allows the use of alternative seeker and guidance options (such as Imaging Infra-Red); the missile offers true all weather capability. The Sea Ceptor weapon system incorporates a 2-way data-link to CAMM missiles in flight and is intended for vessels of corvette size or larger, for either new ships or as a retrofit. In September 2013, the UK’s Royal Navy contracted with MBDA for the manufacture of the Sea Ceptor system for its frigate fleet. The weapon system is designed to be flexible enough for the ‘cross-decking’ of weapon equipment straight onto the Royal Navy’s planned Type 26 class of ships when they replace the Type 23 class in the future. On May 21st 2014, the New Zealand MoD signed a contract for the Royal New Zealand Navy’s (RNZN) for the Local Area Air Defence (LAAD) system with MBDA. The CAMM missile and its associated ship’s equipment will be installed on the RNZN frigates HMNZ Te Kaha and Te Mana as part of the ANZAC Frigate Systems Upgrade project. The same CAMM missile design for Navies and Armies is easily adaptable by MBDA for Air Force use on Fast Jets. With MBDA’s experience from ASRAAM and Meteor ensuring world class performance will be achieved. MBDA has been working with the MoD on assessing how CAMM technology could be used to sustain or enhance the Royal Air Force’s ASRAAM capability in the future.